Thread: NiMH battery dead or bad solder job? So I have a Venom hump pack that had the negative wire pop off the connector. 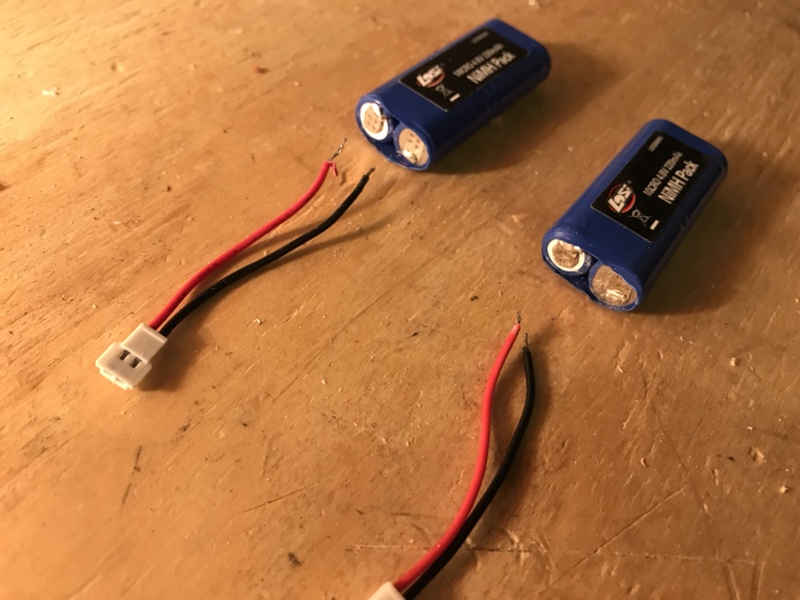 I got a new traxxas connector and tried to solder it to the wires attached to the battery. It did not go well. It was a sloppy job but I was able to do it (after a few tries) and was able to get it connected and charged. When I tried it on my Stampede it was going at about 25% power. It is an older battery so i don't know if its the battery or my garbage solder job that is the problem. A) Is there a way to test a NiMH battery to see if its working properly? B) Can a mess of a solder job be the cause for the lack of power? Placing the leads of a voltmeter on the ends of any cell will yield the voltage of that one cell. A bad cell will usually exhibit a low charge state much faster than healthy cells. Yes, a bad solder job can be a cause of lack of power. Solder is not a great conductor of electricity. Also, soldering directly to a NiMH battery can overheat the cell, causing damage. You did not mention the age of the battery pack. An old pack is not worth messing with. In addition, Venom NiMH pack were known to fail “just because.” A very few swore by them, but the vast majority swore AT them. I am in the same boat with the negative wire coming off but it’s with a couple of losi micro NiMH batteries. 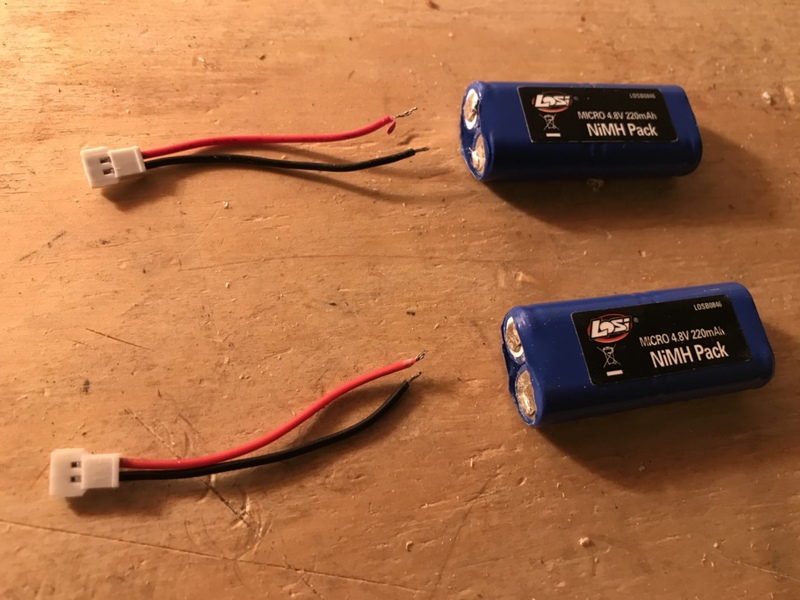 Is it safe to solder the wire back on these types of batteries. I measured the voltage to be positive with the red lead on the white circle and the black on the other one. So just want to verify that the when I solder it back on the red wire goes on the white circle. I know Tinkering like this with a LIPO would be dangerous. Hope it ok with nimh. Please advise. Thanks. If a wire has become how enough to unsolder, either the cells have also become hot enough to be damaged or the wire was so undersized as to be inappropriate for the use. In the first case, properly dispose of battery. In the second, you have to wonder if the rest of the construction and materials were also substandard. If the wires were ripped off, you would be wise to question whether damage was caused to the end terminals of the packs, especially the positive end, which I believe includes a vital vent on NiMH cells. When resoldering, it is easy to overheat the terminals, causing damage to the cells and/or the said vent. A lot of heat needs to be applied very quickly to do it correctly. Thanks. I did the soldering as advised. All is well again. I think you already know this but if the negative and posotive touch you will short and, decresed battery life.